It means longevity. I believe in products that are made well and well cared for throughout their lifecycle. If all fashion was organic and the consumer knew how to properly care for it, from washing to repairing, then clothing would last as long as it used to. Two generations ago, people would buy pieces in their teenage years and have it until they where grandparents, this is how clothing should still be! 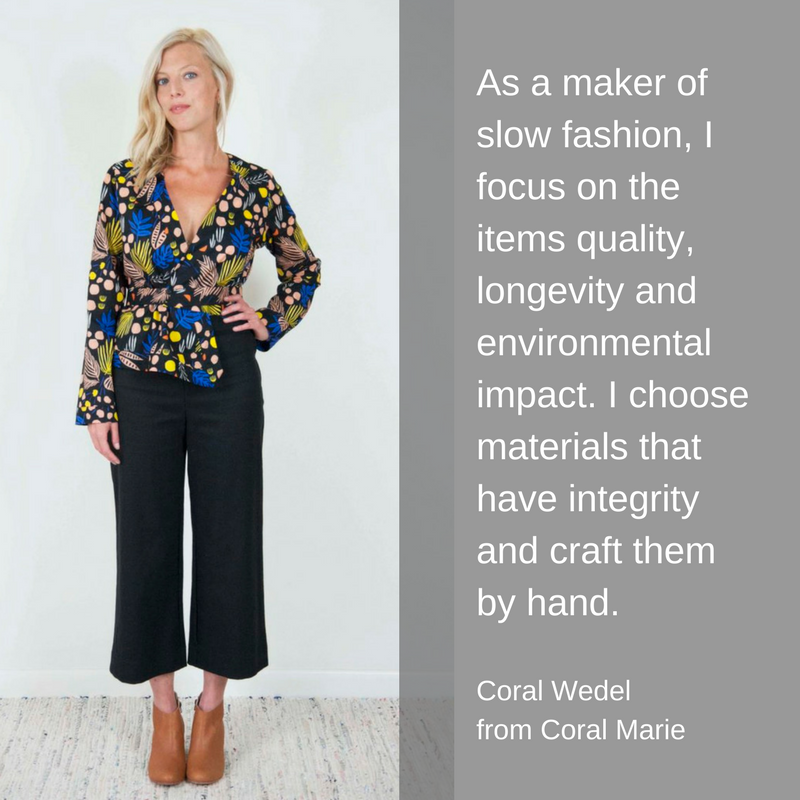 What inspired you to start a sustainable fashion brand? 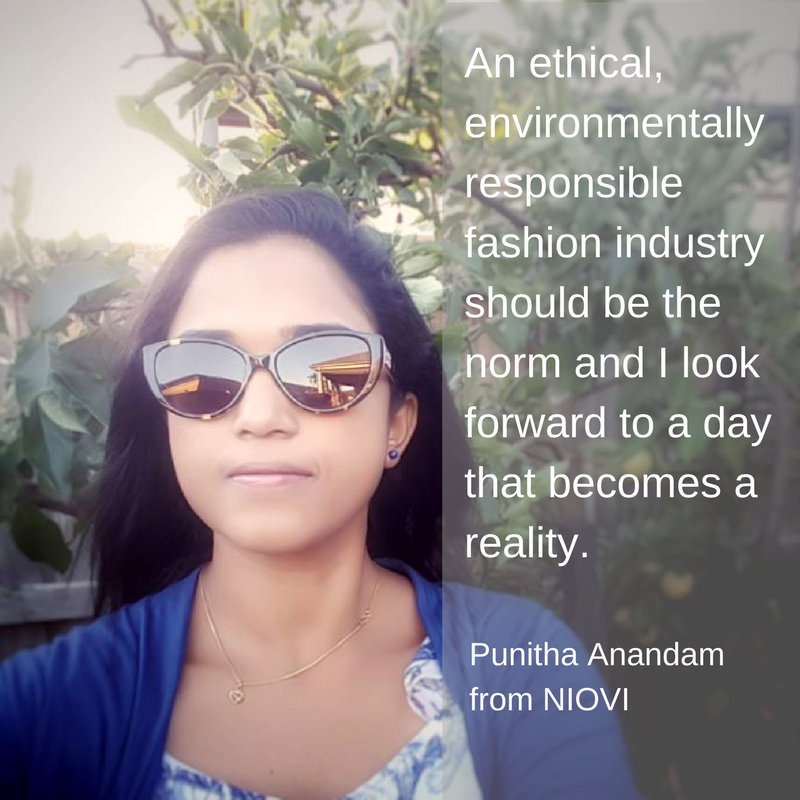 I was working in the luxury sector as a menswear designer and it really bothered me that there where no sustainable options being used or sourced. The amount of waste was also very upsetting, from fabric level to sample garments. I was also hearing stories of very high-end labels using Chinese workers on night shifts to make clothing on the cheap in Italy and was appalled! All of this meant that I wanted to start a label that was transparent from seed to consumer and also from organic or recycled materials that were still aesthetically very beautiful. We offer clothing made with transparency! 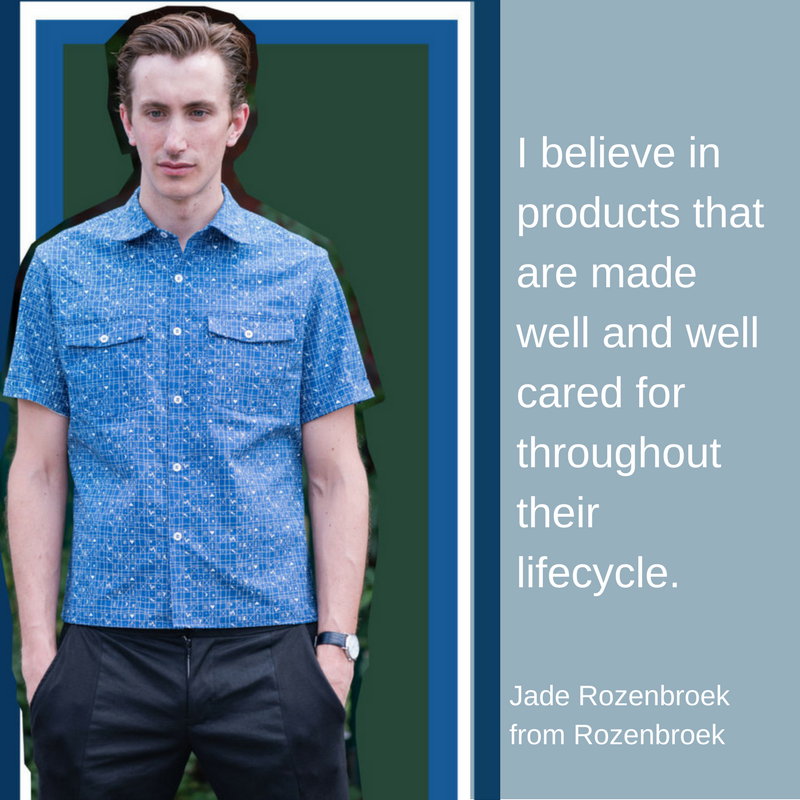 The ethos of Rozenbroek is to provide the consumer a new, ethical option whilst focusing on the wellbeing of the planet. Offering a new and smarter way to shop whilst continually trying to improve our product and environmental impact. To make a progressive change whilst ensuring the products produced are durable and desirable. All products are made to order to minimise waste. We aim to educate the customer into smarter shopping and garment care alternatives and create sustainable male shoppers. At the end of the products life cycle, Rozenbroek offers a repair or recycle service to ensure garments do not go to landfill as most of the markets clothing currently does. We aim to continue to grow our two lines, the basics line which offers trans-seasonal iconic styles in recognisable fabrics and the luxury RTW line that shows twice a year at fashion week. Currently, we are setting up a production facility in Yorkshire that is run by solar power, with the use of this space we hope to grow the team to fulfill demand whilst still offering beautiful, made in England, made to order, handcrafted pieces. Within five years I hope to offer the different tiers of male consumer with the ethical options that they currently do not have! We aim to offer products to a wide audience. However as we currently only make small runs in our small atelier, this means the pieces do not cover the lower price point consumer. 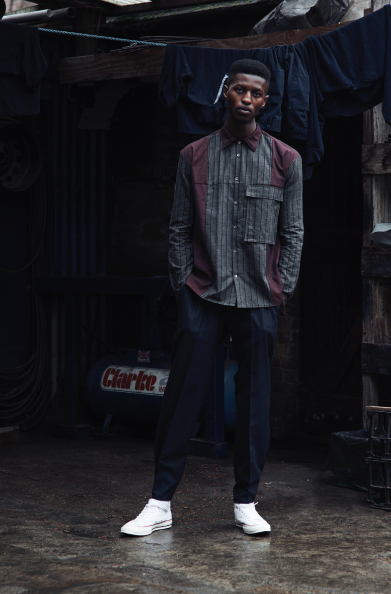 We aim the Luxury line at the ‘mass affluent’, the younger generation of city workers who have a disposable income and are still very style savvy. The basics line is for the contemporary and edgy male who buys key wardrobe pieces with the attitude of ‘buy less but better’. He buys stylish yet iconic pieces built to last. I wish they realised that it was available! As it is not on the highstreet or even well represented on many online stores, people do not think to buy it. 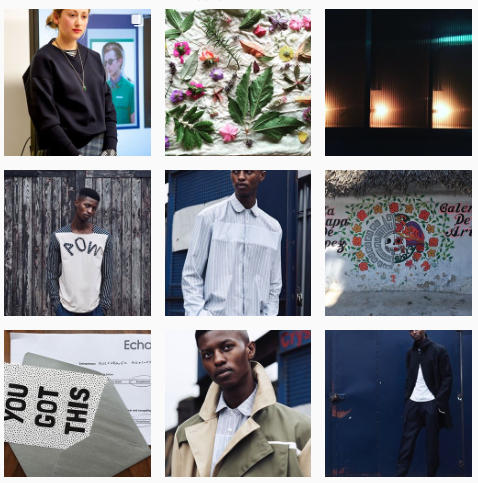 There are so many beautiful and extremely stylish brands that are out there with minimal research! The options are very limited and you need to really do your research! Things can also be advertised in a misleading way, for example, organic cotton is not always certified or contains nasty dyes, so you have to really push to ensure you are buying the right materials. Many people approach me to ask where my fabrics are from as it is so hard to source certified mills that have small minimums and it took me months to find them when I first started out. I think Stella McCartney is really great for leading the field, you know she is authentic and not greenwashing and it is really inspiring to see somebody pushing forward and spending so much time, effort and resources on creating new and beautiful fabrication. I love Maiami, a Berling based knitwear label and Bar Jewelry who create simplistic jewellery out of recycled materials. We were recently selected as 1 of 20 emerging designers from around the world, to show at Tranoï showrooms during Paris fashion week. Also, we recently won a pitch from 10 local (East London) sustainable brands in front of a panel of 4 industry experts. Slowly, we are getting there! Pretty easy. It is a combination of my son and daughter’s name. In a way, NIOVI is my third child.